Muddle mint leaves in the bottom of a pint glass. Fill glass with ice. Add rum & simple syrup. Splash an ounce of Moscato or Club Soda on top. 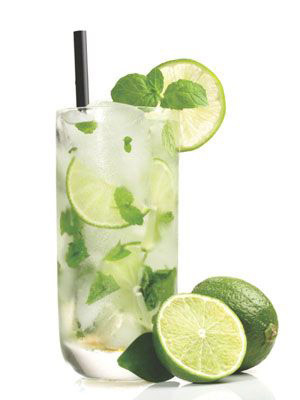 Garnish with a lime wedge.